Metal-free alternatives such as zirconia restorations are the trend as dental patients search for improved esthetics, strength and fit. 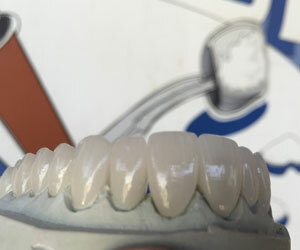 It is understandable that dental professionals are introducing them to porcelain fused to zirconia. 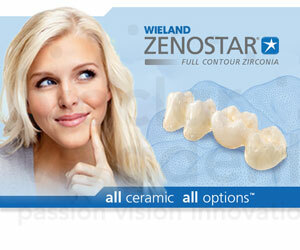 Porcelain fused to zirconia is applicable to all conditions in the mouth. Porcelain fused to zirconia crowns are able to tolerate the biting pressure of the front teeth, as well as grinding of the back teeth. With porcelain fused to zirconia, the common darkening gingival line common with conventional metal crown materials does not occur. 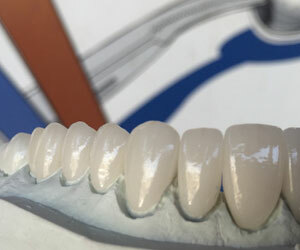 And crowns made from porcelain fused to zirconia provide excellent marginal fit. Porcelain fused to zirconia restorations provide impressive strength at a competitive price. For more information, call 720-739-3022. Porcelain fused to zirconia used for crowns provides excellent properties. Among the qualities that rank highest with zirconia restorations is the natural appearance that closely matches the translucency of natural teeth. This is particularly relevant in consideration of crowns that will be seen next to natural teeth, or in the front of the mouth. The qualities of high strength, durability and the excellent natural appearance of porcelain fused to zirconia make this an excellent choice for crowns. For our dental health professionals with clients who focus on health and well-being, we can provide zirconia restorations that include metal-free bridges and crowns. Our certified dental lab technicians are expert in combining the latest technology with our state-of-the-art CAD/CAM systems to deliver the highest quality zirconia restorations, including metal-free bridges and crowns.